He has collected campaign donations as “Ammar Campa for Congress,” the way he identifies himself on Facebook, but he previously used the names Ammar Campa-Najjar, Ammar Yasser Najjar and Ammar Joseph Campa-Najjar, which fully reflected his Palestinian heritage. This 29-year-old Democratic candidate for California’s 50th Congressional District worked in the Obama White House and supported socialist Bernie Sanders for president. Yet, his name change – dropping Najjar on Facebook and various campaign materials shortly before his campaign began in earnest – points to the need to go beyond his touted, liberal past and seriously scrutinize his background. One curious aspect is Campa-Najjar’s large campaign war chest. He has never run for elected office, but is reported to have a campaign war chest larger than that of five-term incumbent Rep. Duncan D. Hunter. Admittedly, Hunter’s indictment on misuse of campaign funds may have hurt his fundraising, but Hunter recently pleaded not guilty to the charges, which Hunter’s father, a former congressman, labeled politically motivated. Nonetheless, as of June 30, Campa-Najjar had raised over $1 million and claims to have over 700 volunteers. Further, Campa-Najjar’s campaign financing contributions have not been limited to those within the contested eastern San Diego congressional district. He recently raised funds at the Palestinian American Community Center in Clifton, New Jersey. 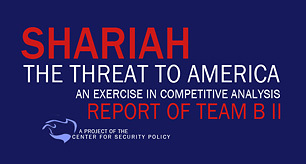 In attendance were operatives from CAIR (Council on American-Islamic Relations), an unindicted co-conspirator in a 2009 federal Hamas funding case. 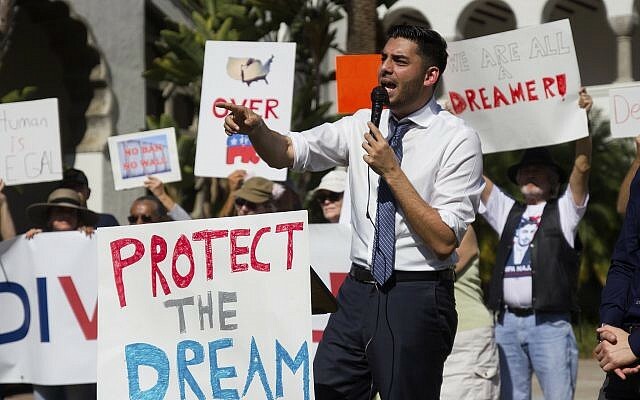 In 2017, Campa-Najjar proudly referred to campaign team member Irma Marcela Miranda-Caballero, an illegal alien or DREAMer, and has stated he opposes a border wall yet insists he wants to fight illegal immigration. Campa-Najjar’s family history also bears scrutiny. The son of a Muslim Palestinian father and Mexican Catholic mother, Campa-Najjar refers to himself as a Christian. His father, Yasser Mohammed Yousef al-Najjar, was the son of a lionized member of Fatah and Black September who participated in the 1972 Munich Olympics massacre of 11 Israeli athletes. The candidate’s parents met in San Diego when his father moved from Gaza. Campa-Najjar’s father later returned to Gaza after the couple’s divorce and was actively involved in Hamas and Palestinian Islamic Jihad. The Najjar family participated in terrorist activity in Israel, despite Israel’s leaving Gaza in 2005. Although the candidate calls his grandfather’s actions “horrific,” his father admitted to being proud of his martyred father and even equated the killing of the Israeli athletes to the violence of the so-called Israeli “occupation.” He praised the Olympic massacre perpetrated by Black September and stated that the Israeli athletes deserved to die. In Gaza, a hospital was named for the celebrated elder Najjar after his death at the hands of Israeli forces. In 1994, Campa-Najjar moved to Gaza to live with his father and his father’s family. He returned to San Diego four years later while his father remained during the Second Intifada, Palestinian violence against Israelis lasting from 2000 to 2005. The candidate’s educational background also gives pause. Upon his return from Gaza, Campa-Najjar attended the Islamic School of San Diego, an affiliate of the Islamic Center of San Diego (ICSD), which was linked to two 9/11 hijackers. The ICSD is owned by the North American Islamic Trust (NAIT), a subsidiary of the Islamic Society of North America, which itself has close ties to the Muslim Brotherhood and Hamas. Two of the 9/11 hijackers, Khalid al-Mihdhar and Nawaf al-Hazmi, were tied to the ICSD where mosque members assisted them in finding an apartment in San Diego, obtaining social security numbers and licenses, arranging flying lessons in Florida, buying cars and procuring funds from 9/11 mastermind Khalid Sheikh Mohammed’s nephew through the ICSD administrator’s bank account. The two imams who currently staff the ICSD have connections to the Muslim Brotherhood. Imam Abdeljalil Mezgouri is a supporter of Islamic Relief, which is connected to Hamas and was designated as a terrorist organization by the United Arab Emirates. He is also active with the Muslim American Society (MAS) of San Diego, a Muslim Brotherhood front that seeks to replace secular law with sharia. Imam Taha Hassane, the religious advisor for MAS at the University of California at San Diego, is a board member of the Islamic Shura Council of Southern California, an organization that supports the worldwide establishment of Shariah. Many progressive Democrats have endorsed Campa-Najjar, including Barack Obama, Sen. Kamala Harris, D-Calif., Sen. Elizabeth Warren, D-Mass., and Los Angeles Mayor Eric Garcetti. Alexandria Ocasio-Cortez, a proud member of the Democratic Socialists of America, is raising funds for her “progressive brother candidate” in the 50th District. Other endorsements include several far-left organizations funded by billionaire financier George Soros. Among them are J-Street, an organization that lambasts Israel’s military action against terrorist group Hamas and focuses on Israel’s settlements rather than Islamic terrorism as an obstacle to peace in the region. Others include Move On, an anti-war affiliate of the Socialist Alternative; the Answer Coalition, involved in violent, anti-Trump protests throughout the United States; and the Service Employees International (SEIU), a far-left labor union that promotes government expansion and higher taxes and engages in thuggish tactics to intimidate opponents to support the union’s progressive agenda. Our Revolution, a group founded by Bernie Sanders’ presidential campaign that endorsed Rep. Keith Ellison for DNC chair, also supports Campa-Najjar. A recent poll conducted for the Campa-Najjar campaign shows the candidate in a tie with Republican incumbent Hunter, who enjoys the support of President Trump. The battle intensified recently as Hunter ran a campaign ad pointing out areas of concern about Campa-Najjar’s past and calling him a security risk. Campa-Najjar responded with a video of his mother disputing the allegations … in Spanish. 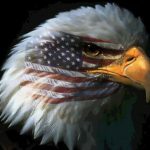 With elections a month away, this congressional contest could prove to be a tight and highly watched race with a strong showing for a progressive challenger in a traditionally secure Republican district.